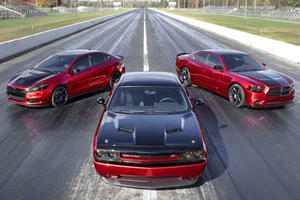 How to make a trio of great cars even better? Just call Mopar. 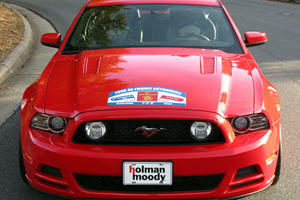 Mustangs of all shapes, colors and engine sizes flooded the show floor at SEMA 2012. 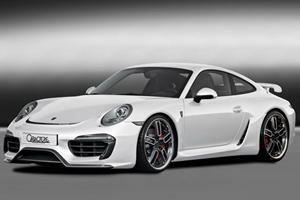 The tuning house from Belgium arrived at the 2012 SEMA Show with its latest 911 body kit. Food mogul and car nut Guy Fieri showcased his custom 427 Corvette at SEMA before putting it up for auction. 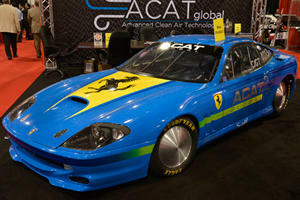 Ferrari 575 transformed into Land Speed racer by JBR Motorsport was on show at SEMA 2012 after competing at Bonneville Salt Flats. 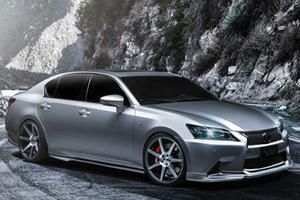 Coupes and convertibles weren't the only attractions at SEMA 2012. 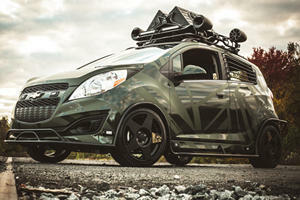 A fledgling fashion house has taken a Chevrolet Spark and turned it into a modern tactical vehicle. 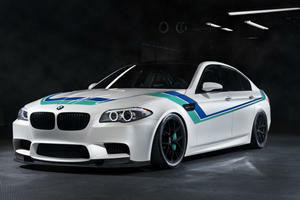 IND is a third of the way through a comprehensive tuning program for the venerable BMW M5. 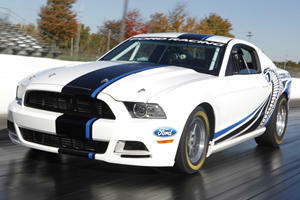 The most successful production-based drag racer has been improved with EcoBoost technology. 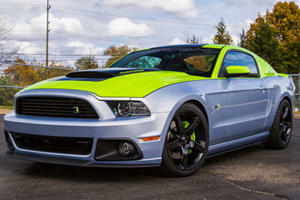 SEMA show car reveals the tuning house’s upcoming Stage 3 Mustang package.